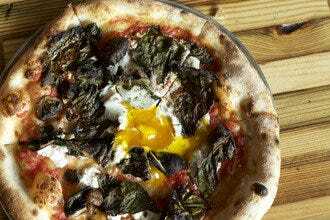 Farm-to-Table Restaurants in San Antonio You Won't Want to Miss! Some folks think San Antonio's riverwalk is overrated. Not true! This historic attraction, and many of the buildings that line its banks, have great stories to tell. It's quite picturesque, peppered with an array of shops, bars and restaurants. Now, it can be a challenge finding a restaurant that is as tasty as it is kitschy, but that's what we're here for! 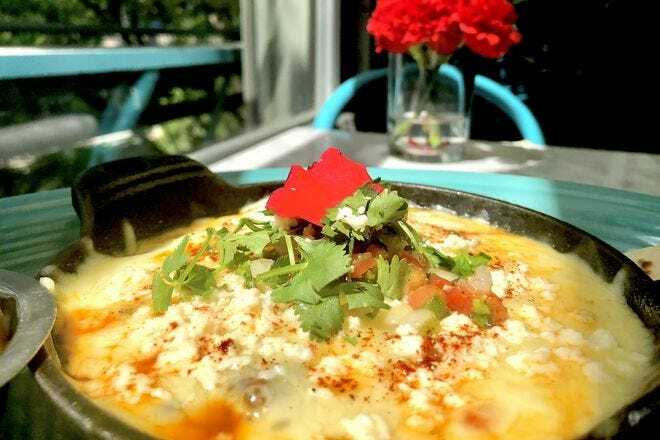 For an over-the-top stunning restaurant with a floor-to-ceiling glass wall that opens up to the riverwalk and features a local celebrity chef (host of Homegrown Chef), there's nowhere else to go except Ocho, situated in the historic Hotel Havana. Even National Geographic recommends this gem. Feel like you're a world away in this Latin-themed restaurant featuring surprisingly affordable dishes. Do yourself a favor and make time to visit their speakeasy-esque bar. You can enjoy some nibbles there too! 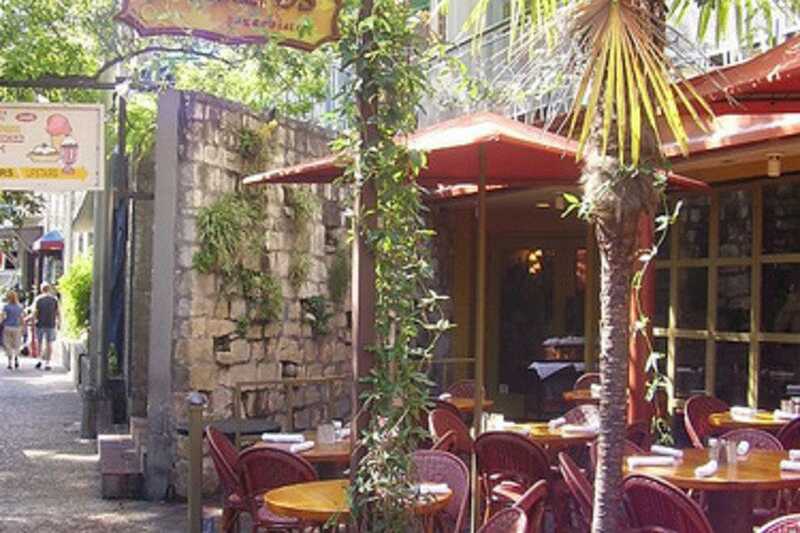 For fine dining like the French do, right here in the Alamo City, take your sweetheart to the Fig Tree for delicious French classics served on fine china with fine wine on their villa-style terrace overlooking the riverwalk. Paris has nothing on this place! Bella's inviting staff and intimate atmosphere set the tone for one of the finest meals you'll ever have while visiting San Antonio. Owner, David Snyder, has combined his love and experience abroad with the genius of Executive Chef, Sean Fletcher, to create fresh authentic Southern European and Mediterranean dishes that are to-die-for! From the paella, with its fragrant flavors and velvety texture, to the (off-menu) Branzino, grilled to perfection with roasted garlic and grilled lemon, the cuisine is off-the-charts delicious. They take advantage of seasonal ingredients by offering dishes like the watermelon and heirloom tomato salad, but you can't go wrong with starters such as the decadent Eggplant Josephine. There isn't one item on this menu you won't savor and remember. What really stands out about Bella's is a true appreciation for quality and simplicity where the ingredients themselves are allowed to shine in a perfectly balanced symphony of flavors. 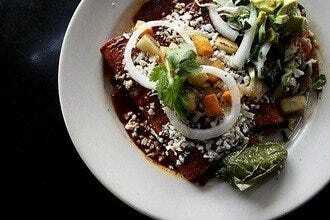 This recent addition to San Antonio eateries is just one example of why San Antonio is a supreme vacation destination. 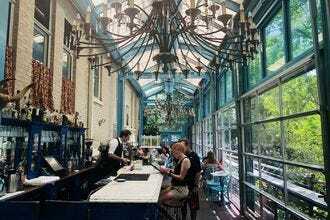 The Luxury is Chef Andrew Weissman's (one of San Antonio's finest) newest restaurants. 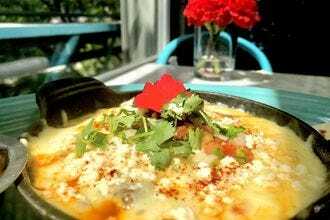 Located across the river from the San Antonio Museum of Art, this funky fun outdoor restaurant has a small but utterly delightful menu and an impressive list of beer and wine. There's no doubt it's all delicious, but you can't go wrong with the pulled-pig sandwich, slathered in grilled onions and red peppers or the crispy fish banh mi sandwich topped with dill, onion, cilantro, mint and, yes, even a sunnyside-up fried egg. Yum! For dessert, dip into the chocolate pudding with salted caramel and Chantilly cream. Are you in heaven yet? 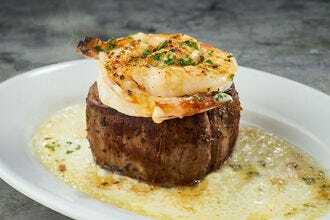 Boudro's Texas Bistro is the ideal spot for intimate lunches or dinners as well as large parties and convention groups. They can accommodate you inside or on one of their special river barges, catered exactly to your taste. The Chef offers culinary inventiveness with the use of fresh, local ingredients that help make this restaurant so sought after. The delicious frozen margaritas are made with swirls of crimson prickly pear juice, and the menu revels in dishes like black lacquered duck leg, papaya-marinated flank steak, mesquite-grilled Texas quail, and shrimp and crab enchiladas. 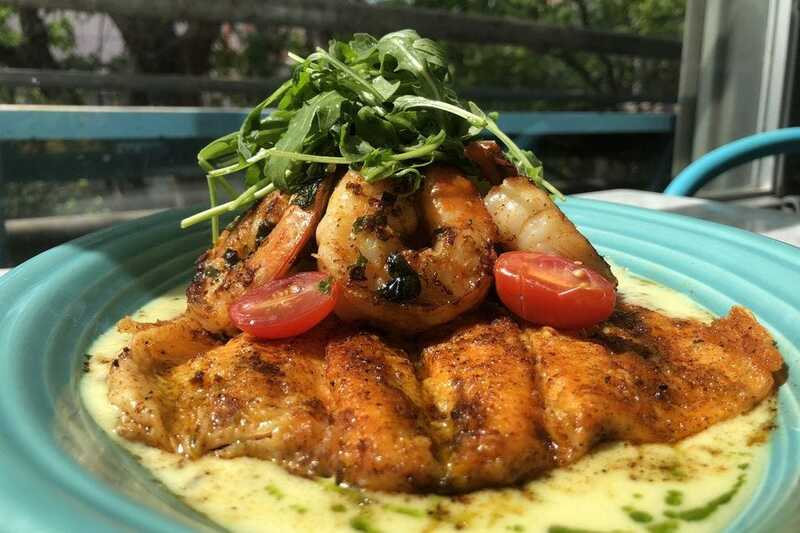 Boudro's truly has some of the best food on the River, from smoked shrimp enchiladas and blackened prime rib to seafood straight from the Gulf. Biga's is perfect for a theater evening downtown. 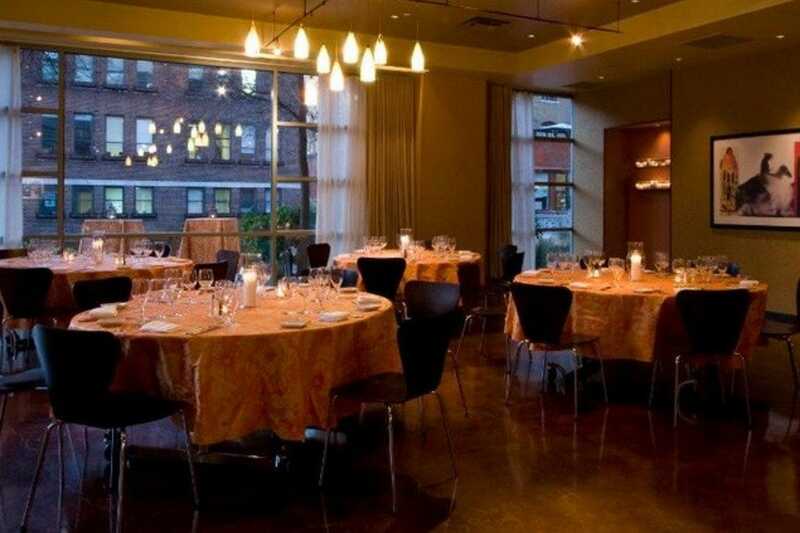 They offer a three- or four-course selection from their menu at a prix fixe price. The Seasonal Menu is available daily, for orders placed before 6:30 or after 9:30 pm. Chef Bruce Auden's daily menu is just that â" refreshed daily with the best picks of the season. 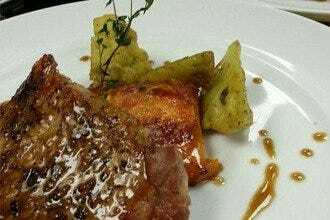 A sample menu might be something like lobster ravioli on arugula, lobster sauce and fennel or Szechuan pepper cured salmon, orange chili noodles and sweet mustard or Boudin-stuffed quail with pears, blackberry jus, zucchini cake. Chef Auden lets his imagination run wild and keeps locals and travelers alike coming back again and again for his delectable culinary creations. Hotel Emma showcases its culinary prowess in multiple ways, but it's on-site restaurant, Supper; located along the northern extension of the San Antonio river walk, is their best representation of what good food is all about. 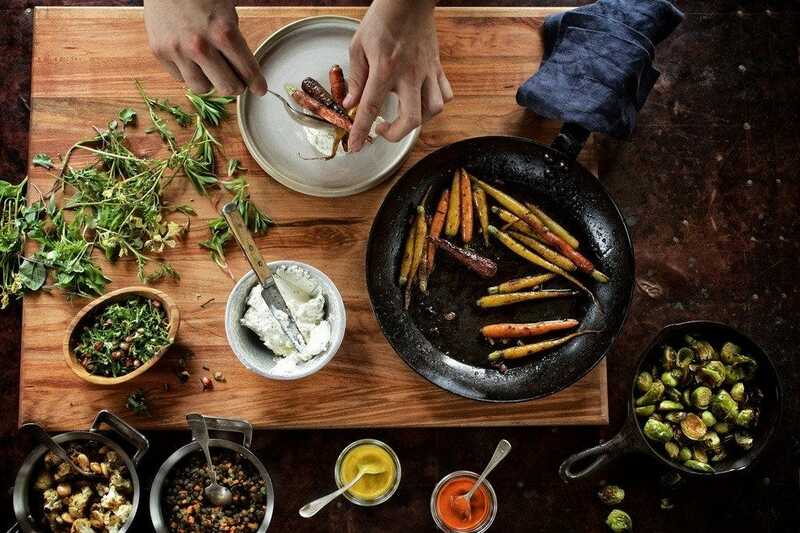 This farm-to-table restaurant almost dares you to not like veggies. Their menu is largely vegetarian, but each dish is so flavorful you don't miss the meat. Of course, that's not to say they don't also feature some amazing proteins, but they certainly don't rely on them. 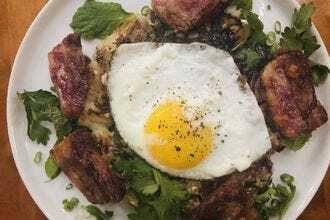 When they do feature dishes like their Duck Confit, it's balanced with a refreshing herb salad that accentuates the duck but doesn't weigh you down. A meal at Supper is an utter delight, not only because of the food and clear spirits cocktails, but also because of the stellar staff, beautiful views of the river from their outdoor patio, and the simple feeling that you're somewhere special. In truth, you are and all of San Antonio knows it! Acenar, located downtown on the Riverwalk, is a spectacularly innovative and contemporary Tex-Mex restaurant that Zagat has noted for their "killer food." Lisa Wong (who also owns Rosario's) and her partners took special care with this restaurant to ensure it could compete in style and taste with just about any other restaurant in any metropolitan city, and they did not disappoint. If you just want to check it out, they offer a Houston street-level bar called Atomar and a Happy Hour menu that's worth the walk. 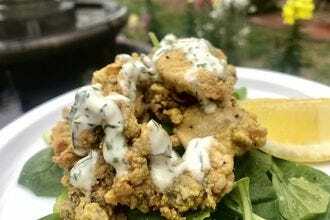 Although the regular menu is similar to Rosario's with a boost in price, Acenar offers items that are unique to it, such as the Buttermilk Fried Oysters, the Young Texas Goat served with Ancho Salsa Ranchera and the Duck Crepes. Looking for Tex-Mex with a twist? This is it! Gwendolyn, located downtown along the Riverwalk, is a fine-dining American restaurant that, like the Grandmother it's named for, inspires deep love and devotion. A cozy, romantic venue, Gwendolyn is an ideal place for a first date, anniversary or if you're simply a foodie who appreciates impeccable food. Gwendolyn is committed to serving handmade food made from local ingredients. Chef Michael is a devotee of the Slow Food Movement which emphasizes eco-awareness. Even more impressive, Gwendolyn refuses to use all the modern gadgetry that most restaurants can't seem to live without. The menu is small, offering a three course or five course pre-fix menu with two options for each course that changes daily. You can check the website to see what the current day's menu will be, and you'll want to call ahead to book your reservation. 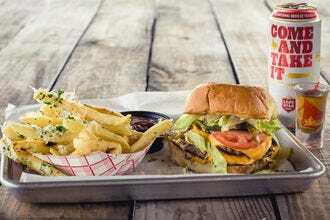 Owned by San Antonio celebrity Chef, Johnny Hernandez, Burgerteca, is a new restaurant and the first to open up along the Mission Trail extension of the river walk, south of downtown. 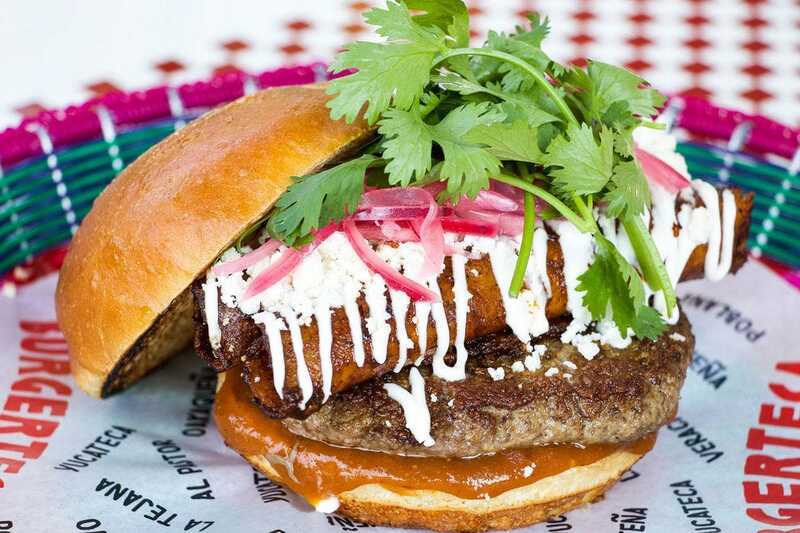 The concept itself is also the first of its kind, a burger and ice cream concept inspired by ingredients and flavors distinct to traditional Mexican food. Although you can almost always expect to find a crowd, this is a fun place to go for dinner on the weekends. You can relax outside on the patio or in their vibrantly decorated dining room. The burgers, too, are fun and tasty. These might not be the traditional burgers you're used to, but that's a good thing! Experiment with options such as the Al Pastor with beef, grilled pineapple, tomatillo and manchego cheese or even better, the Pacifica, a seared tuna burger with slaw, sesame seeds and avocado. Delicioso! 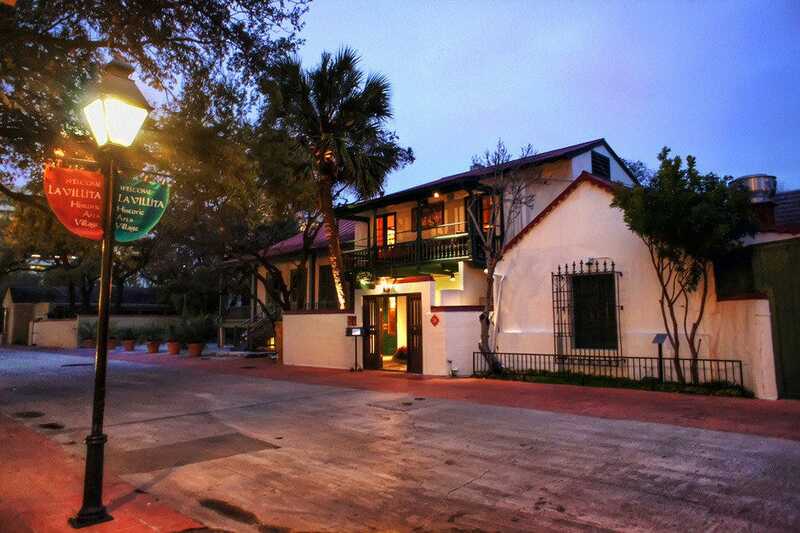 For fine dining in the heart of La Villita where you'll find an array of cute shops and boutiques, try the Fig Tree. 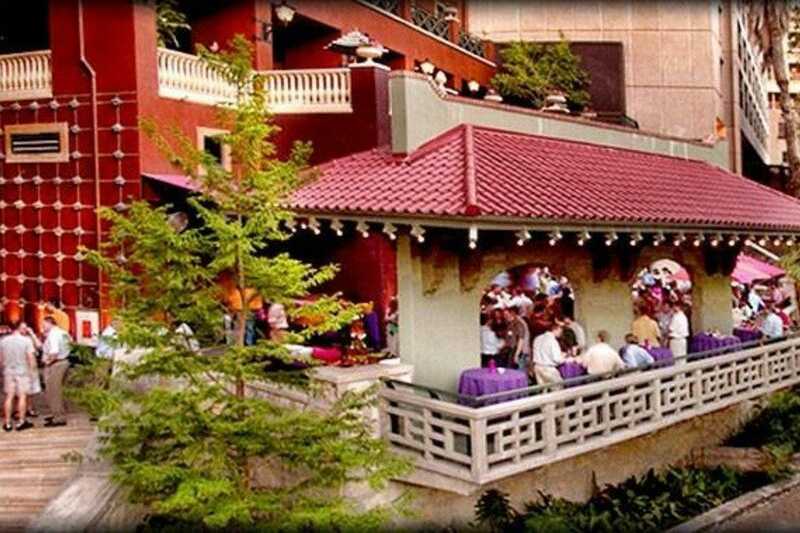 This classy yet quaint little restaurant offers exceptional food, servers dressed iin suits, tableside bottle service, a lovely complimentary amuse bouche before your entree and a patio with a beautiful view of the riverwalk. This European-style restaurant is known for its impeccable food. 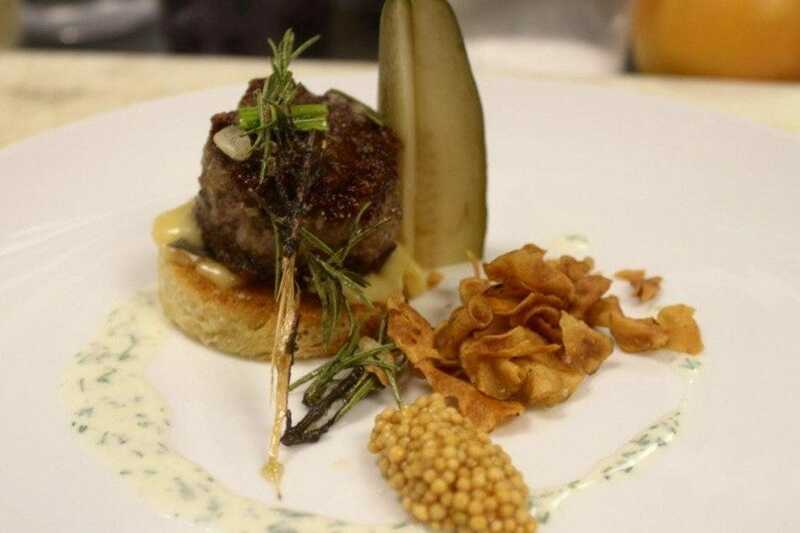 Some of their amazing dishes include Roasted Texas Hill Country Quail Stuffed with Pate, Black Truffles and Apple Cider Emulsion, Gulf Lump Crab Cake Sauce Dijon and Romaine Chiffonade and Seared Duck Breast, Leg Confit with Glazed Autumn Vegetables, Bigarade Sauce. Oh, my! Not only is this Pan-Latin restaurant and bar located along San Antonio's picturesque riverwalk, but it has one of the most stunning dining rooms in the country, with a floor-to-ceiling glass wall the opens up when the weather's cool enough to enjoy it. Chef Edward Villarreal is at the helm, serving up an array of Latin-inspired cuisine. This savvy chef is also the star of a culinary series, Homegrown Chef, that inspires gourmands to cook, eat and explore San Antonio's delicious food scene. Go for breakfast, lunch, brunch or dinner. They also offer happy hour, and good eats from their downstairs speakeasy-esque bar and late night options, when most restaurants are closing down. The perfect choice before or after an event at the Tobin, as they're within walking distance.